Netcentric – Are You Ready for the Challenge? Get ready, Barcelona! Our Tech Job Fair is coming soon to your beautiful city and we are ready to connect talented job seekers with great employers! Today, we’d love you to learn more about Netcentric, A Cognizant Digital Business - Adobe Experience Cloud experts - who have a Barcelona office with exciting open positions. Learn more about them and book your free job seeker ticket today to meet them in person! With over 450+ employees and growing, Netcentric is a dynamic, innovative tech company with a unique culture. They empower their employees to use their creativity, looking beyond tools and technology to unlock the full potential of the Adobe Experience Cloud, so that the company can deliver visionary digital marketing solutions for the world’s most recognized brands. They offer career growth opportunities from trainings to conference participation and more. Did we mention the international work environment across their 10 office locations in Europe? A great office is important, that’s why Netcentric strives to create a work culture and workplaces that inspire, make collaboration easy and where their team has fun too. “You will also find some amazing views, fancy kitchens and cozy breakout areas for a bit of relaxation. And oh, did we mention that we empower employees to make meaningful decisions at work through Holacracy?” - to mention just a few of the perks they offer. So what are you waiting for? If that sounds like what you’re looking for, head straight to Barcelona Tech Job Fair. Book your free job seeker ticket now and meet with some of the Netcentric team in person! And if you want to learn more about them, visit their website, Facebook, Twitter and LinkedIn! In the times of global markets, networking is more important than it was ever before. Connecting with clients and partners online is great, but only meeting people in person gives you so much possibilities. October will be a great month for the whole broadband-related industry. Here comes Broadband World Forum 2018 - make sure you sign up for it! What is the event, you might ask? “Looking beyond hype and buzzwords, BBWF is the only event in the world with an exhibition and agenda focused exclusively on network infrastructure”, say the event organisers. The event comes to you as one of the world’s largest exhibition that connects the global industry specialists. They come to Berlin to meet each other, share their experiences and create valuable connections that they can use to grow their expertise and businesses. “You will find all the right people in the right place. Achieve 6 months’ worth of meetings in 3 days and drive your business forward with new partnerships”, add the organisers who are convinced you won’t get a better opportunity for networking than Berlin’s BBWF. But Berlin’s not the first stop in the event’s history. They have already organised BBFW last year and it proved to be a huge success. This year, encouraged by their last result, Broadband Forum is about to repeat in October. And again, they draw the industry specialists that are open to all kind of opportunities. The event organisers took care of the value that BBWF is going to deliver. Among their speakers you will find names such as Federico Guillén from Nokia, Craig Fenton from Google, Eman Martin-Vignerte from Bosch, Hui Cao from Huawei and Christian Gacon from Orange. Don’t hesitate - book your early bird ticket while they are still available! 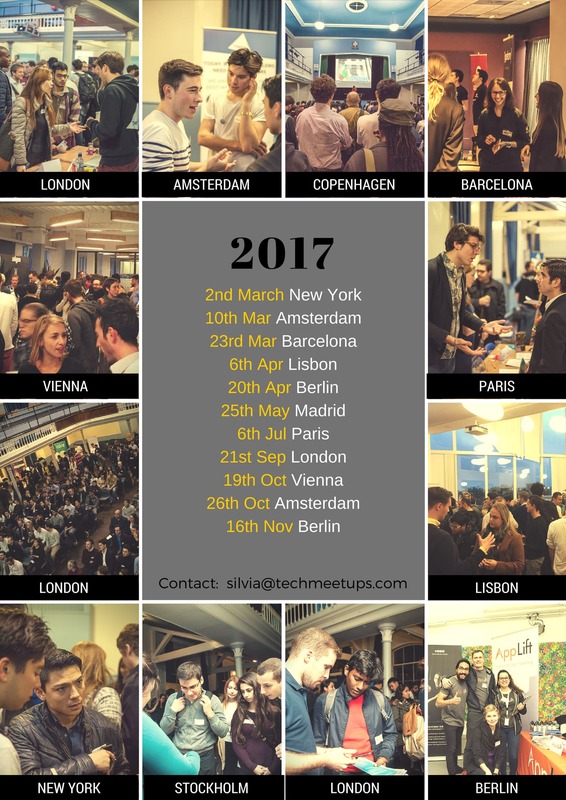 Learn more about the event and get ready for countless networking opportunities in Berlin! You can also register for a Free Expo Pass and get access to two vibrant exhibition halls filled with the industry's most important players, two content hubs with more than 25 hours of free content covering AI, Smart Home, IoT, Blockchain, and more hot topics, world class speakers from Deutsche Telekom, SK Telekom, Sky Italia, Broadband Forum and more, and unmissable networking opportunities throughout the event! Delivered as guaranteed, another successful #tsjfair in #nyc accomplished! If you're a business start up, getting the best employees requires walking a tightrope between being too corporate and too inquisitive, too personal and too remote. Follow this guide to breaking the ice with prospective hires. Try to read their personality - without getting too personal. Before you buy it, date it or hire it - Google it. This cliche is also a piece of good advice. When a prospective new hire shows interest, it's natural and prudent to check him or her out online, and what they choose to make public is fair game. But with so many employers giving friend requests - or even asking to see private social media updates - don't be a tech start up that acts like an overbearing parent before you've even hired the employee. Professional references are great, but requests for personal references are antiquated and - especially for young Millennials looking for a business start up to hitch their talents to - make employers look gullible. Think of the worst person you could possible imagine. That guy could get three people to say something nice about him. Job hunters come into interviews prepared to speak on a variety of issues. They expect to talk about their experience, what motivates them, why they'd be a good fit, etc. But if you pick a random, topical subject - something in the news, whatever - you give the interviewee a moment to exhale and speak conversationally. Without putting them on the spot, you also gain insight into who they are as a person. People lie and embellish on resumes all the time. The number-one reason? Because employer rarely check. A college degree doesn't necessarily make someone a good person or prospect, but the willingness to lie about it should send up a huge red flag to any business start up. Engage in genuine conversation without putting the employee on the spot. Make an effort - especially in a first interview - to talk about something other than work, past experience, the industry, why they got into business or why they think they'd be a good match for your tech start up. When you engage a prospect in conversation that avoids the common shop talk, you humanize your business and get to see how the potential recruit functions and thinks as a human being, not a worker. Avoid the boilerplate job interview questionnaire whenever possible when it comes to breaking the ice with job candidates. It's easy to fall into the trap of asking certain questions in a certain order. But from the first interview through the entire hiring process, it's important to get a feel for who the candidate really is - and to show them a true glimpse of the human side of your company. Andrew Lisa is a freelance writer living in Los Angeles. He writes about small business management, careers and driving-related topics such as hypermiling. If you’re looking for a job in 2014 you might want to check out LinkedIn and other social recruiting platforms. According to a new study 2 out of 3 companies will use social media to recruit new workers in 2014. 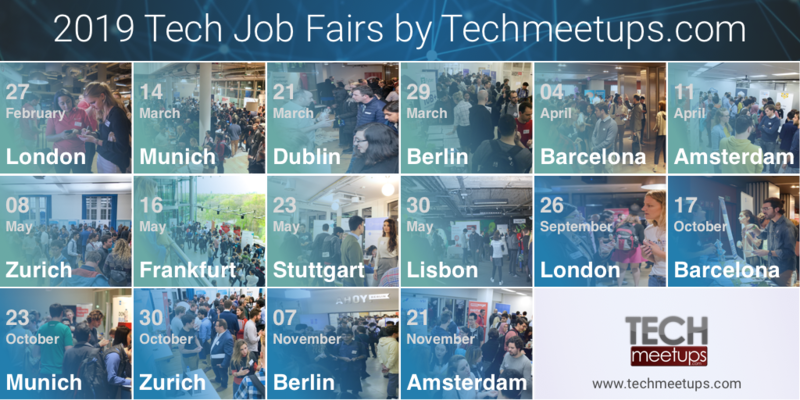 TechMeetups is hosting world’s biggest #TechStartupJobsFair in Sydney,London,New York and Berlin. Here is a fascinating graphic focusing on IT careers. It was created by the folks at Staff.com. Learn how job seekers are increasingly using social media to look for their next job — and get ideas how to use it yourself to fill your next vacancy. Jobvite collected data from from all over the web and put together this infographic. We all know the jobs situation is bleak. Growth is still slow. Hiring is tentative, and still not in large enough numbers to reduce unemployment significantly. Europe can still be described, generously, as having a fragile economy, which means it still has a downside impact on the macro-economic climate. It is no wonder then that this year’s batch of graduates are entering a jobs market not dissimilar to the one graduates found themselves in during the worst of the recession, and are being forced to look for alternatives to the traditional corporate career path that many expected to find themselves on. Some pioneering entrepreneurs, like Rajeeb Dey, CEO of Enternships, are taking great steps to try to fix the employment and underemployment situation for graduates. He launched his UnRecruitment campaign at the Davos World Economic Forum 2013. UnRecruitment is designed to work with large employers to change the way recruitment works - so that both companies and candidates benefit from the experience. Enternships has also partnered with Santander UK and Wayra, the O2-Telefonica-backed global startup incubator program, in order to provide paid internships for graduates and students. Social media is a key player in the job search process today. That’s probably why half of all job seekers are active on social networking sites on a daily basis, and more than a third of all employers utilize these sites in their hiring process. Career transition and talent development consulting firm Lee Hecht Harrisonasked hundreds of job seekers via an online poll, “How active are you on social networking sites?” Forty-eight percent said they’re very active on a daily basis, while 19% said they log on about two or three times per week. Another 22% said they use social networking sites one to three times per month, or less. Only 11% of job seekers said they never use social networking websites. Greg Simpson, a senior vice president at Lee Hecht Harrison, said in a press statement that job seekers must understand how hiring managers and recruiters are using social media in all phases of the selection process. Startups are in a unique situation when hiring employees. Usually cash flow is tight or the company is being bootstrapped, so hiring mistakes are more costly than in a company with more financial stability. In addition, early-stage new hires are a large percentage of the total number of employees and have the potential for greater impact, both good and bad. Here are seven simple tips to help you hire the right staff for your startup. You’ll still need to secure the legally required permissions to do background checks on potential employees, but be sure to include looking into online reputation. People tend to more freely discuss topics in their social media communication, thinking it’s between “friends.” Consequently, you’ll get a clearer picture of a candidate’s real attitudes and work ethic, for example, from checking the status of their Internet reputation. Especially in technical fields, paid internships are a part of the career path. A paid internship of a set timeframe, say a summer, can give you a better picture of how a student with great grades fits into the workplace. Many aspects of the workplace cannot be evaluated until someone is actually in the trenches, so to speak, and has to perform. Develop strong relationships with thought leaders in your industry, especially those at universities and colleges in your area. Students will be looking for jobs at graduation, and personal contact is a great way to get a good idea about the suitability of a candidate. Especially with students with advanced degrees who have had to complete dissertations, faculty will have had extensive experience working with the students in a setting quite similar to the work environment. Strategic and innovative hiring processes will narrow down the candidates for your startup! Often a highly motivated individual with entrepreneurial attitude can be found through angel investors or other entrepreneur networks that foster innovation. Their own idea may not have worked out or was proven not to be feasible. But they are excited to be part of a team creating new businesses. This group, of course, carries the risk of leaving when a better idea crosses their path! Testing services can highlight good indicators of non-tangible employee skills such as interpersonal communication styles. In addition, at many companies, an interview for a job that requires good writing skills should include a writing test. Simply asking the candidate to read a company product brochure and create a short synopsis can also give you a clear picture of analytical thinking ability. Many great employees start as independent contractors working on clearly defined projects. This gives both parties a chance to try out the relationship without a full commitment. The work should likely be project-based such as completing a market research study or designing a specific prototype. Creative doers abound at places like FabLabs or maker spaces. Whether for a technology job or not, people who hang out in hacker clubs, maker spaces, and FabLabs tend to be doers. They like to try new things and are usually open to innovation processes, including learning from failures. Visit these hotbeds of creativity to get the word out about your job openings. A maker or hacker’s can-do attitude is a plus for any startup! Startups that carry innovative methods into their job hiring process are bound to see the kind of success they need to become a “real” company. Sarah Boisvert is an author who writes on a variety of business and innovation topics. She also covers social media and technology, including 3D printing. Resource Solutions has released their Social Recruiting Playbook, a ‘working guide’ on how to harness the power of social recruitment. Immigration reform looks like it might really happen in US President Barack Obama’s second term. Many have tried before and failed; few ever attempted a total overhaul of a very broken system. But amid sudden political momentum, what if the laws governing foreigners’ rights to live and work on US shores could be rewritten? Who would get to stay? How tight should borders be? Which countries and industries benefit? Quartz has been asking lawyers, advocates, and business leaders what a sound migration policy in America would look like. For the first time in recent memory, immigration reform in the US appears to be a political slam dunk. Republicans smarting from a poor showing among all minorities publicly acknowledge they need to embrace Latinos and Asians to win the White House. An emboldened Barack Obama is chafing to push forward comprehensive changes to the immigration policy. Much of the noise around this issue has focused on dealing with the millions of undocumented workers. But perhaps a more pressing issue (as I and Vivek Wadhwa argue in our book, “The Immigrant Exodus”) is reforming skilled immigration rules to allow more high-powered aliens to start companies, work, do research, and remain in America. A 2011 study found that nearly half of the Top 50 venture-backed companies in the U.S. had immigrants on the founding or top management teams. Another study estimated that 25% of publicly traded companies founded between 1990 and 2005, that had also received venture backing, had immigrant founders. A 2007 research project by Vivek Wadhwa and AnnaLee Saxenian found that 52% of science and technology companies in Silicon Valley, the global center of tech innovation, had at least one immigrant founder. We’re excited to announce we’re holding our New York City, US Job Fair on November 29. Find out more information by visting the NYC Jobfair page.